After 30 years I was back in Kenya. 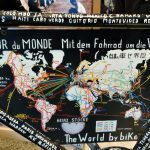 This time by bike, during my youth I had backpacked (read more about it in an interview in German). Both times I was alone. What would I remember? What had changed? This comparison made Kenya a special country on this trip. The border town of Busia continued on the Kenyan side. Here it was considerable larger and it also had rained heavily. 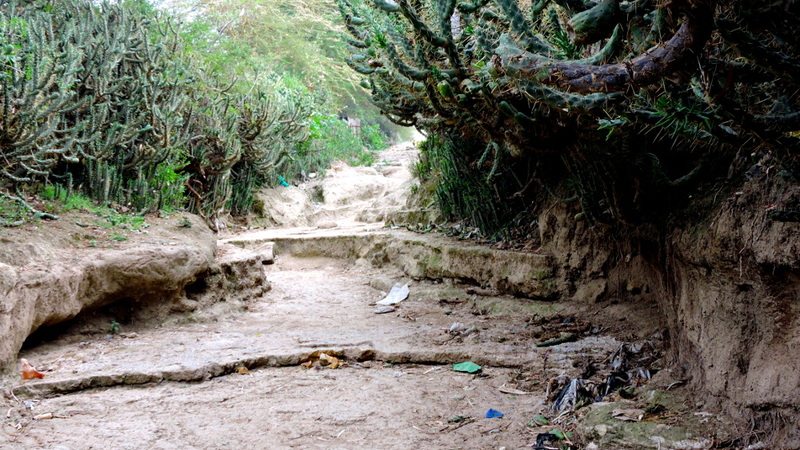 Only the road to the border was paved. The rest were tracks which were marked by mud and puddles. There was no getting ahead on the main road. In the usual game of chicken busses, cars, and trucks blocked each other. I had imagined, the situation would be better in Kenya. Shortly after the border, I turned on to a small side road. Thanks to the sugar plantations and industry, I was on a newly paved road with very little traffic. In the evening I barely made it to a hotel before a thunderstorm broke loose. I only cycled past the Kakamega Forest. I had such nice memories of my first visit when I had camped in the forest with researchers and watched birds and monkeys. 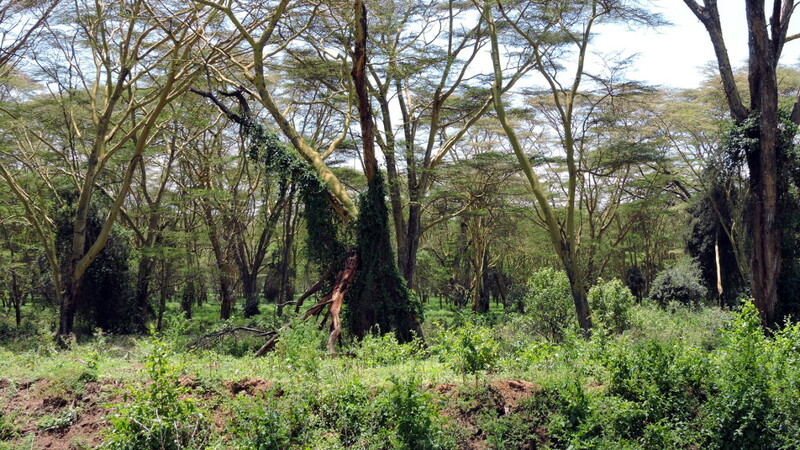 The forest had been developed for tourism, there were a lot of lodges, and one could book very exclusive tours. 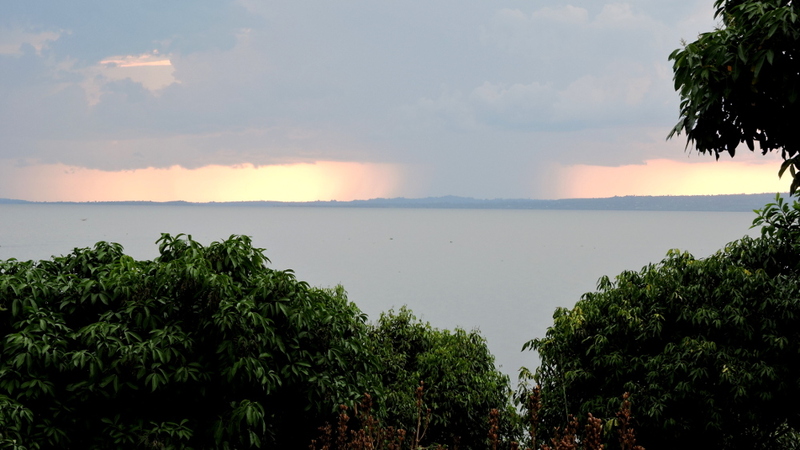 I hardly recognized Kisumu, one of Kenya’s larger towns on Lake Victoria. The city’s skyline was marked by large hotels and banks. 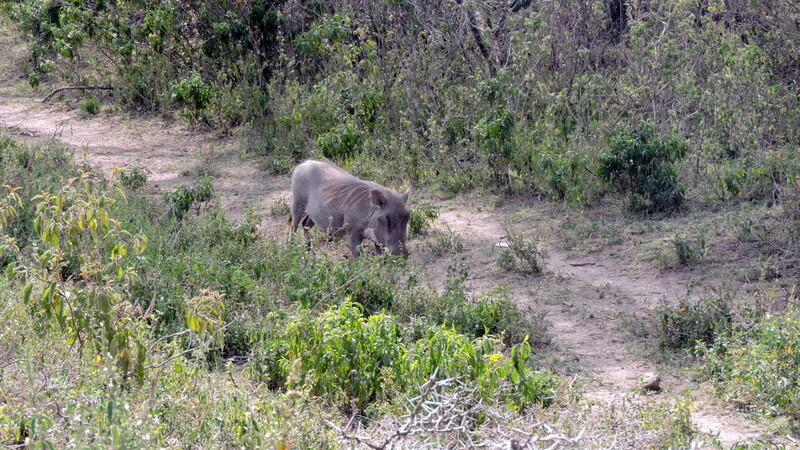 I recalled that I had visited the hippo point outside the city thirty years ago. 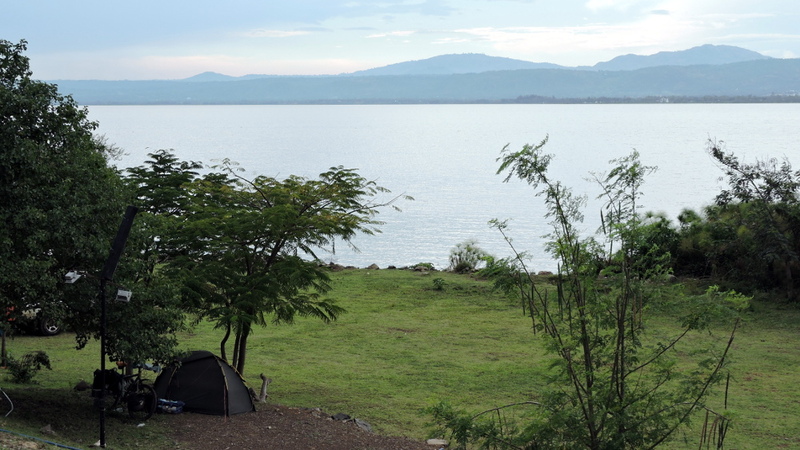 This time I camped not far away at the Dunga Hill Campground, directly on Lake Victoria. Here I could rest and each evening enjoyed a beautiful nature show. The rainy season had arrived but in a way that didn’t bother me. When the rains started, it was time to disappear into my tent. But I wouldn’t miss the sunset. Either I was unlucky when it came to road works or there were a lot of them in Africa. 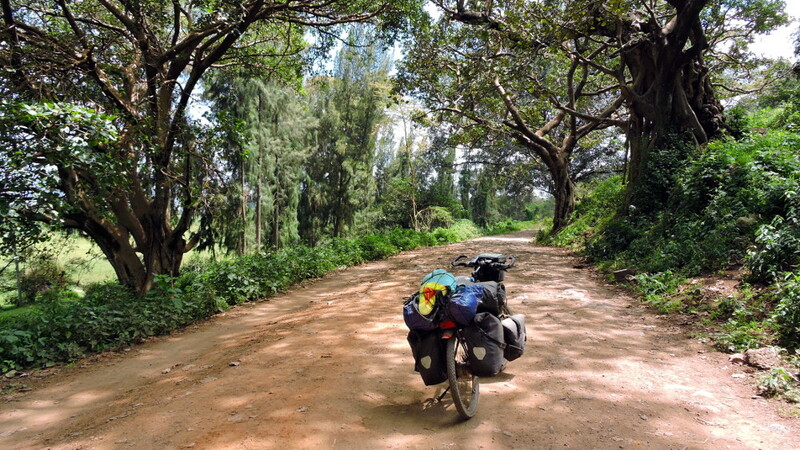 When I left Kisumu and was on the rural road there was only gravel. Fortunately, it wasn’t a Chinese construction site and therefore wasn’t very long. 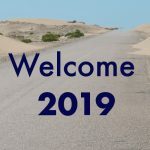 Thirty years ago, I had been to Kenya but not on a bike. I had no idea, how mountainous the country was. 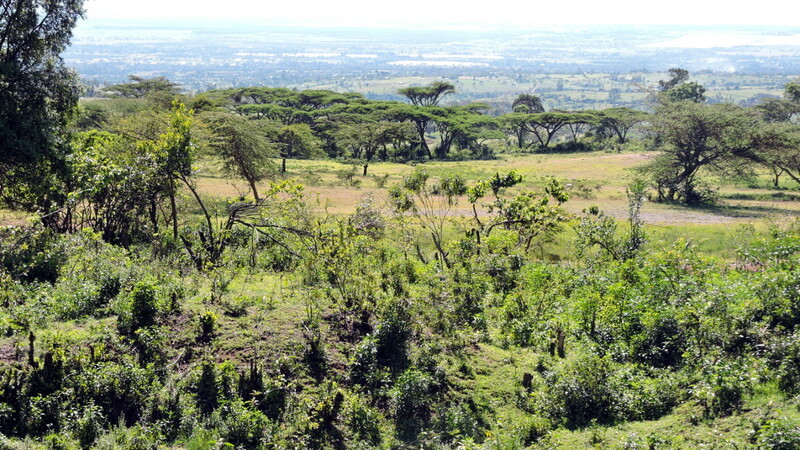 The Rift Valley was a continuous up and down. After 55 kilometers I had climbed 2,500 meters and was completely exhausted. Once again, fate was kind and I stood in front of the gates of a Franciscan monastery. I was warmly welcomed, got a room, dinner, and wonderful conversations. Next day I continued and it was mainly downhill. 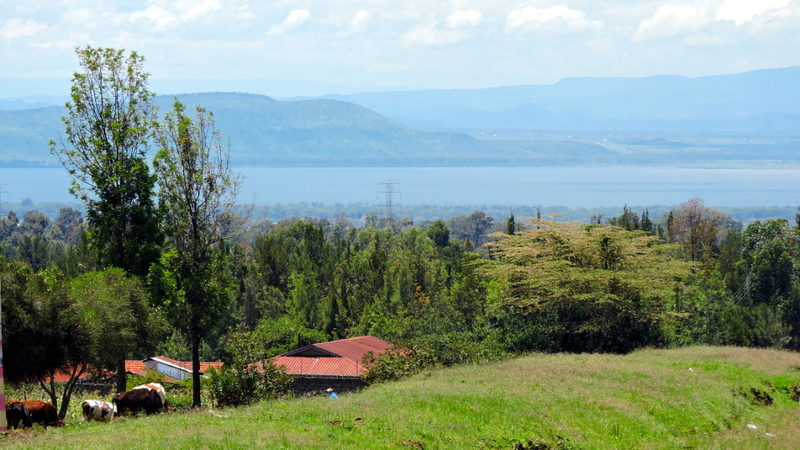 There were several soda lakes in the Rift Valley. 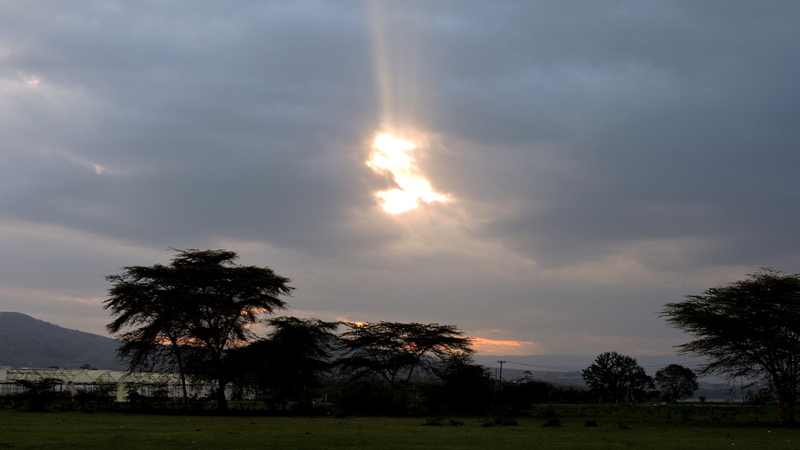 The first, largest, and best known was Lake Nakuru. 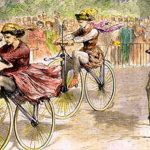 I quickly cycled through the town of Nakuru which was too large for my liking. I’d find hippos and flamingos at the other lakes. 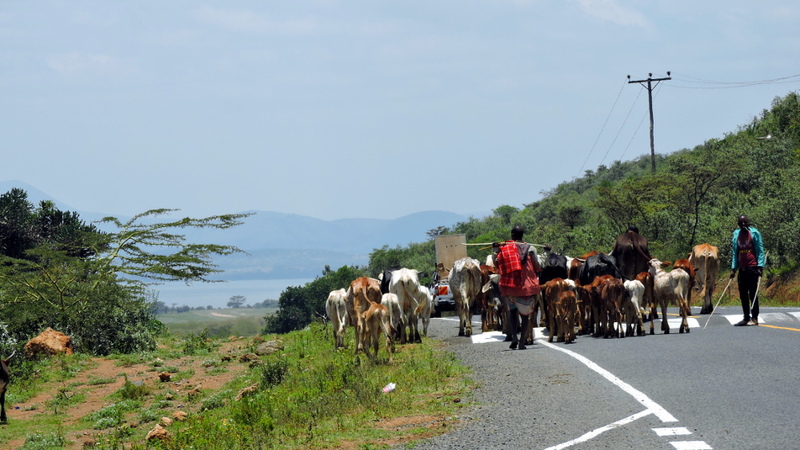 A few kilometers further along was Lake Emmentaita. I pitched my tent on its quiet campground. 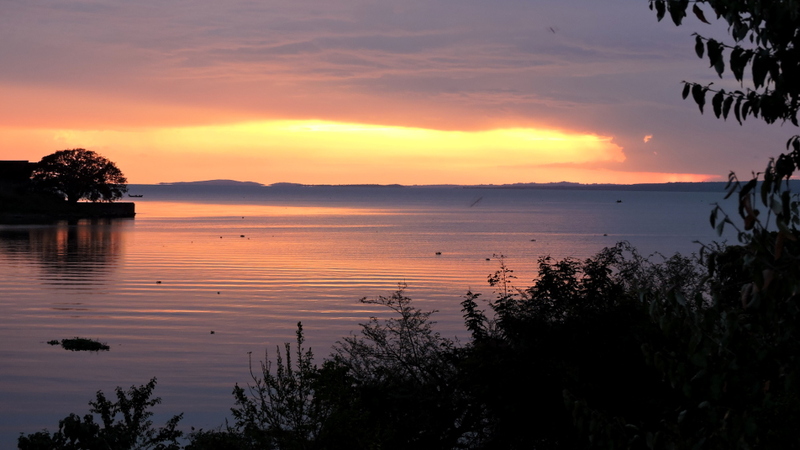 In the morning the lake was colored pink by the flamingos. 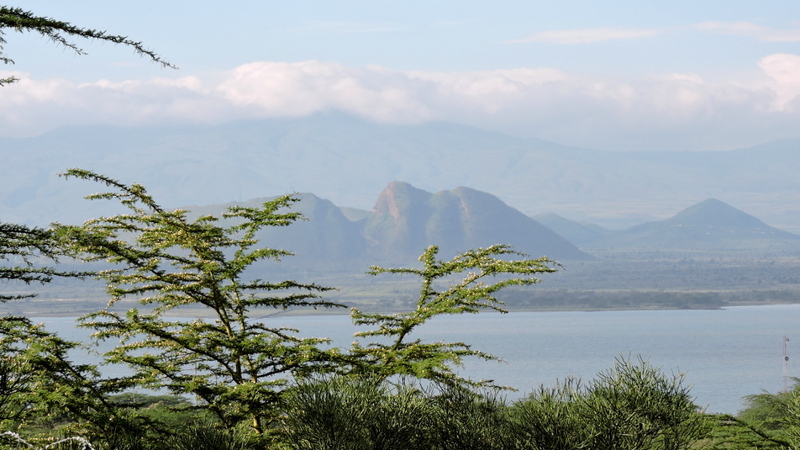 I was very keen to get to the third lake, Lake Naivasha. I had nice memories of this lake and the camp sites. I was happy to discover a side road which allowed me to cycle around most of the lake. I came through an amazing forest. Only a short section wasn’t paved. 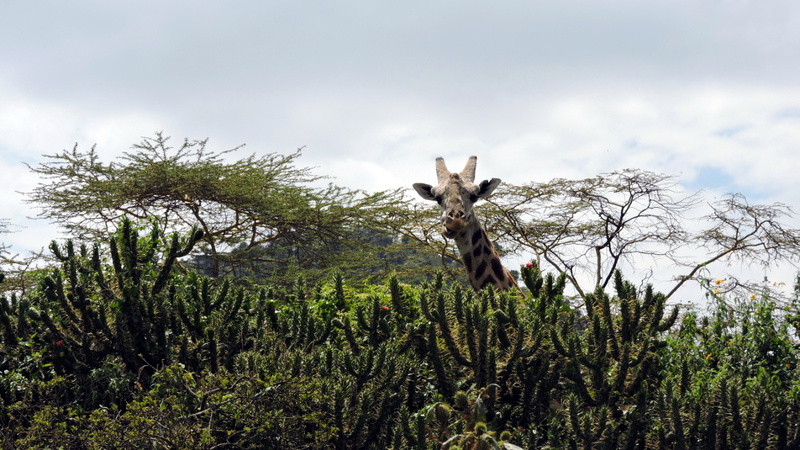 A giraffe bid me welcome. 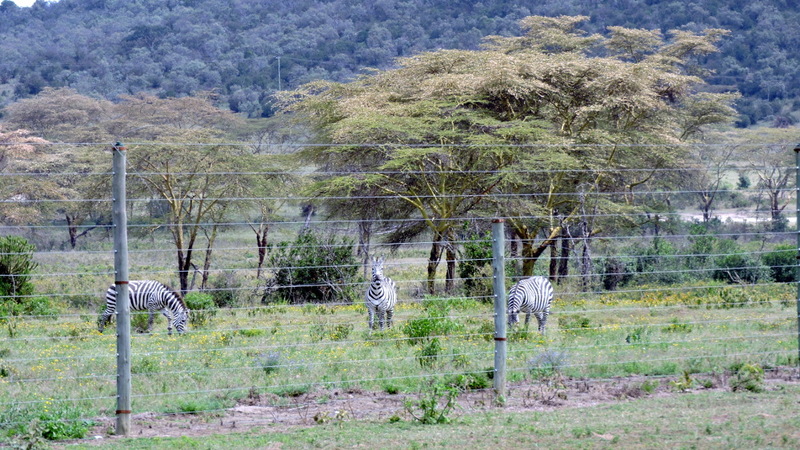 The zebras were kept behind fences. The southeast side had changed so much! The roads had been paved and lodges or campgrounds where next to each other. In the old days, there had only been the Fishermen’s Camp and the camping site of the YMCA. I had stayed at both during my last visit. This time, I cycled past the first one which had turned into a giant camping site. I wanted to stay at the simple YMCA facility. I was so happy to be there. 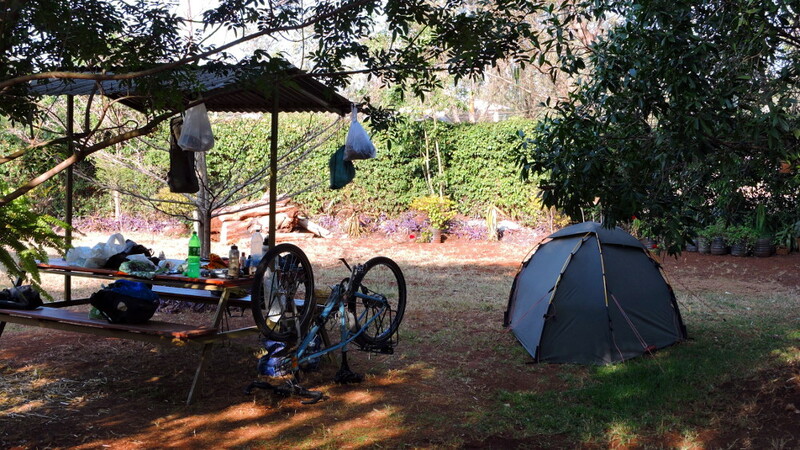 It had been a great day for cycling and the camp ground had hardly changed at all. I was so excited that I told the manager my story how it had looked thirty years ago. Perhaps he was born around that time. When I told him that back then, hippos would come from the lake at night and stamp around my tent, he laughed and said, “They’re still doing it!”. Once again, it was a brilliant evening sky. 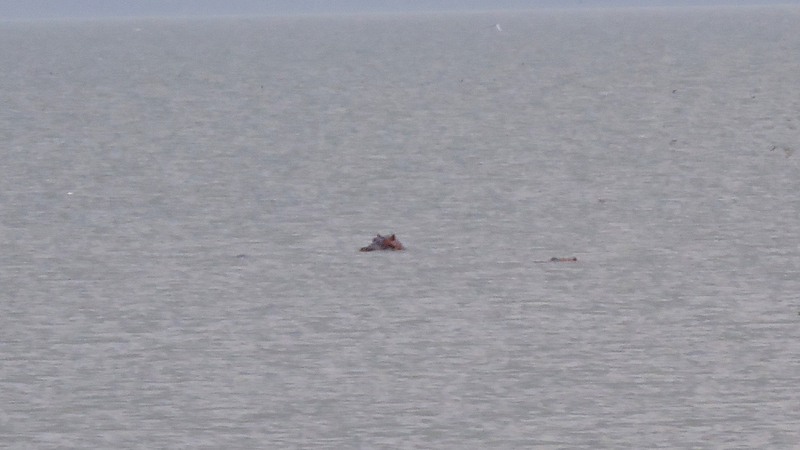 The hippos remained in the lake. 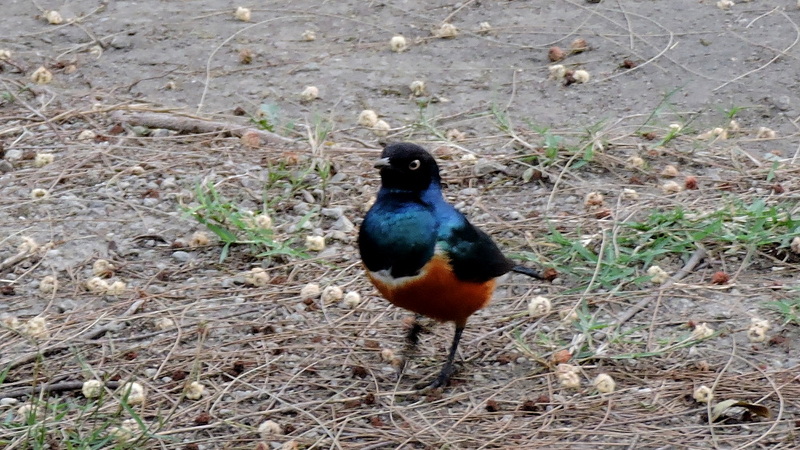 Last time, these small birds, or their ancestors, had kept me company for breakfast. 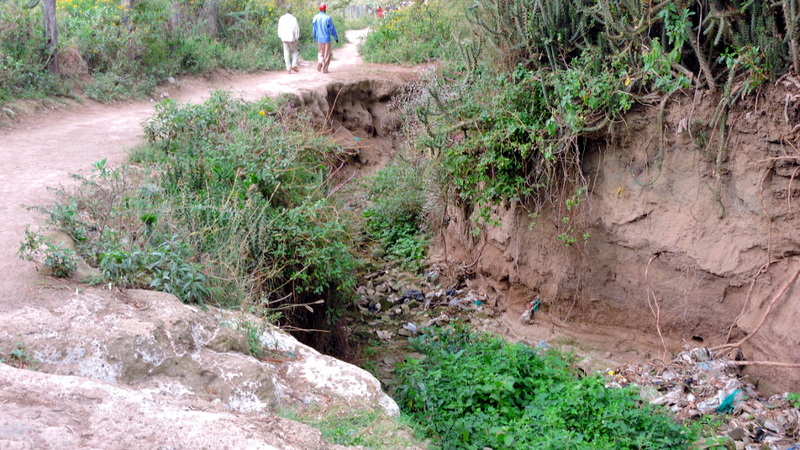 My GPS put me on an adventurous path to leave Naivasha. No need to explain that there was hardly any traffic. I looked for an alternate route. The road to Nairobi was different. 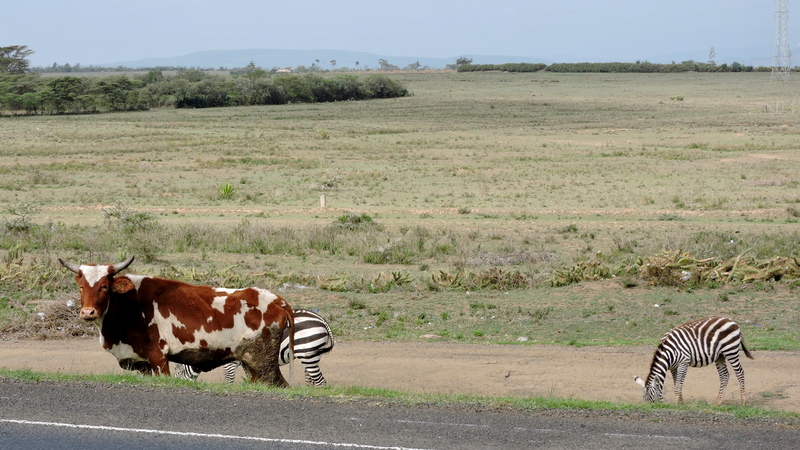 In the beginning, cows and zebras grazed peacefully next to each other. Then the horror started. Even so it didn’t look like the main road to Nairobi on my map, there were trucks upon trucks. We had to ascend the Rift: steep, a lot of curves, and a long construction site. Everything was too narrow. 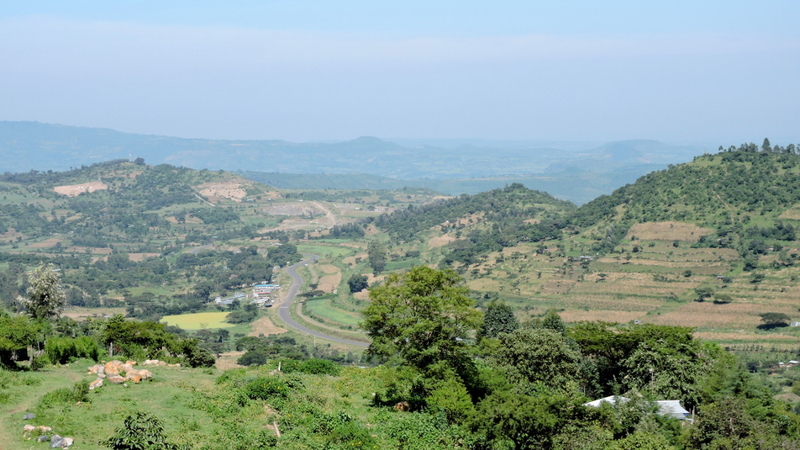 On top and on the other side of the road, there were souvenir stands and a sign that this was the best view of the Rift Valley. I had to get away. It wouldn’t have been possible to stop, let alone get to the other side of the road to take photos. When I had the chance to take the “motorway”, I opted for it. I thought someone would stop me, if I wasn’t allowed on it. But no one took notice. 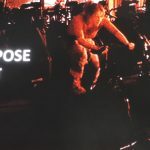 I cycled on a freeway but was alone one the shoulder. Considering the many lanes, there were less traffic. 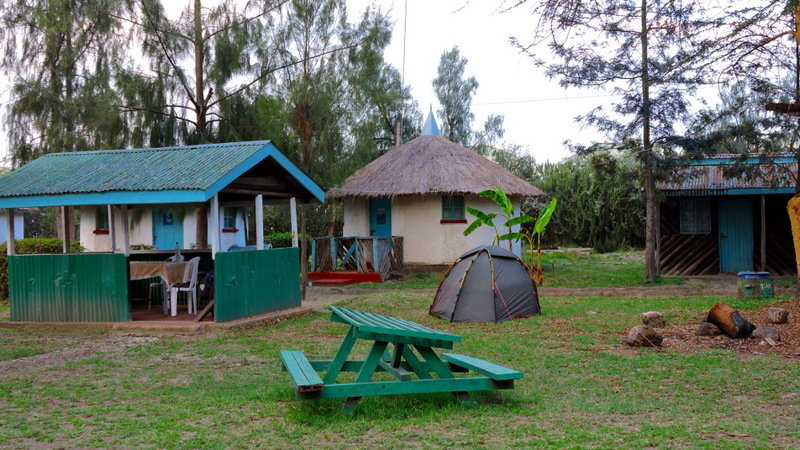 It was a quick way to detour Nairobi and to reach Karen where I spent a week at Jungle Junction. Karen was called after “Karen Blixen” who wrote “Out of Africa”. And that’s how it was, out of Africa. Everything was quiet and clean. Almost every day I went by bike to one of the embassies in town. Compared to Kampala, it was paradise. I got the visa for Ethiopia much faster than expected. I lost my patience with the visa for Sudan. 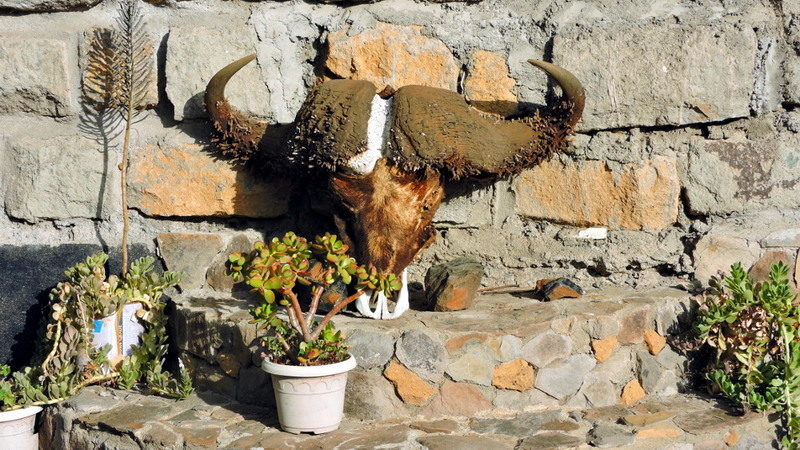 I thought, I could get it in Addis Ababa. 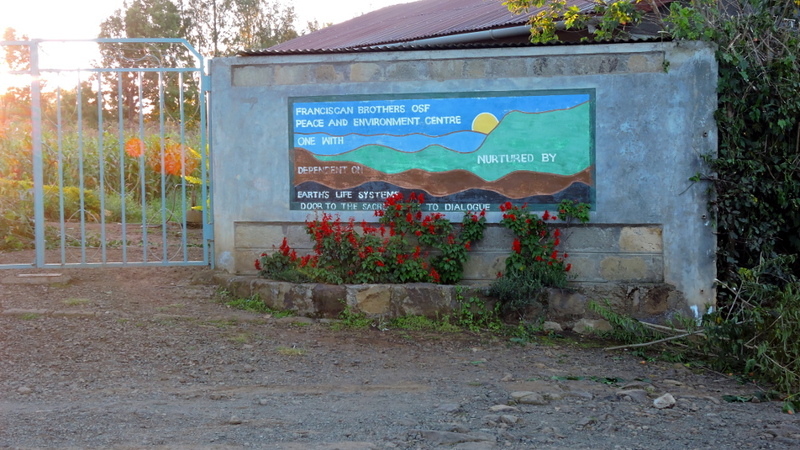 Stay tuned for the story about the north of Kenya.